WordPress is an extremely powerful and extremely powerful CMS (Content Management System) You can use WordPress for almost anything online. However, the downside being that any hacker can take advantage of vulnerabilities to hack your site. Some people will deceive themselves that it can not happen to them because their blogs are “small”, but be assured that even small Blogs can suffer hacker attacks. 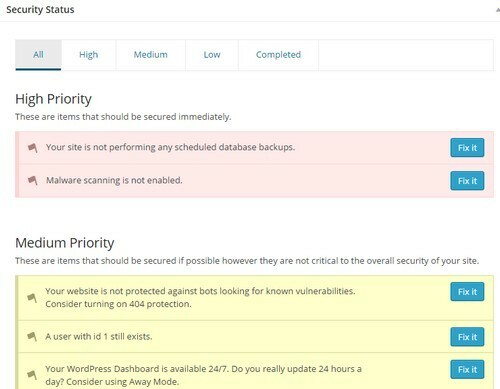 This should be your first instinct when it comes to WordPress Security: to update WordPress whenever a new version is available. They are always available almost every month, but I have seen a tendency from many clients I have worked with, they ignore these updates. Little do they know that by regularly updating, the site will be safer (very old versions of updates are sometimes sensitive). Important: Before performing an update to your site, always make a backup of your blog (database and theme files). This is because in some cases your theme may not be compatible with the latest versions and will mess your blog badly. 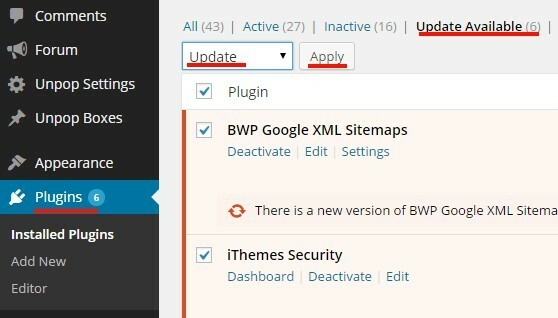 To update your blog, just click on the Updates section of the WordPress Admin – “update now” (or update). WordPress themes are known to be increasingly the new Hackers gateways. Indeed many modern themes use plugins that you do not see in the WordPress plugins directory, and you can not update for yourself. Regularly change your theme (the best solution for the design and plugins age quickly!). There are many new and better themes on Theme Forest at fair prices. Download the new version from the publisher. Meanwhile, uninstall and delete the plugins you no longer use, indeed they can slow down your blog, but also be a risk. Jetpack is not strictly speaking a security plugin, although it will not necessarily Protect Your WordPress Blog from Hackers, but it will allow you to more easily manage your WordPress blog with a set of built-in WordPress features (statistics, mobile version.). 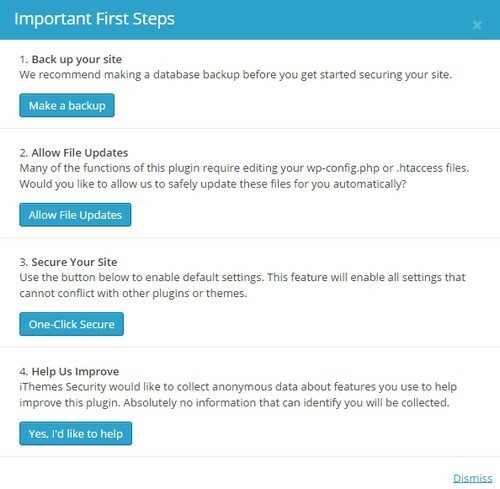 This plugin is really necessary because it will allow you to adjust the main security holes in your blog, set up regular backups, delete the user “admin” and many more that previously only advanced users could manage. But do not stop! ESPECIALLY NOT! At The BASIC, there is more if you want to Protect Your WordPress Blog from Hackers. Here is a step by step guide to configuring Ithemes Security Plugin. Wordfence also has a paid version with possible assistance in case of problems. Download WordFence through THIS LINK. These two plugins will help Protect Your WordPress Blog from Hackers. Now, what the Hell am I talking about here!? Yes, that PC you use to log into your WordPress Admin site needs to be virus free… Your WordPress admin is like a folder and can get viruses which may be problematic to your Server and Blog/Site as well. It’s good to protect his WordPress server, but you also protect your PC spyware. These are the little things you can do to Protect Your WordPress Blog from Hackers. – Contact your host (BlueHost for example) they usually block infected files from your blog and give you some basic tips to stop the infection (usually they block infected files). – Contact the developer of your theme, if you feel the theme is is the cause of the fault (your provider usually warns you of the file that causes the infection). – Get in touch with us and we will take a look at your blog and clean it up for you, plus secure the site for you to prevent future attacks from Hackers. Fabulous post! Thanks for sharing this wonderful article. I want to suggest you User Activity Log. It can monitor all users activity in your website and even give you notification if any selected user logged in at the admin area.